Interviews with the 6 Representatives for WCS KR: Maru, Bomber, Soulkey, sOs, Dear and INnoVation. The competition that will decide who will be the player of the year, the WCS Global finals, is getting closer. 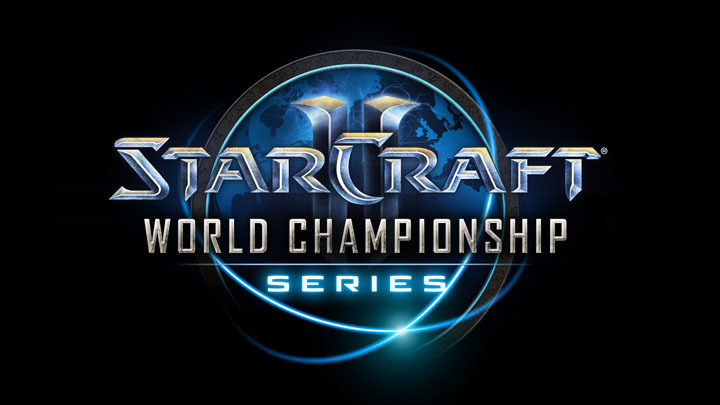 This year, the WCS Global finals will be held on the 9th, in Anaheim, CA, USA at Blizzcon. All matches other than the finals will be a Best of Five format, with the final being a Best of Seven. With a tightly contested tournament ahead of us, we asked the 6 representatives from WCS KR about their thoughts about the tournament, and their aspirations. "Any player, any race, doesn't matter. I'm confident about everything"
The WCS Global Finals is the biggest tournament of all tournaments in the Starcraft scene, and I never thought that I'd be participating. I've been given the opportunity to participate, and because of that I felt that I should work harder than anyone. However, instead of putting in extra hours of practice for the finals, I'm working to maintain my pace at 9 hours of practice per day, but also trying hard to maintain control of the condition that I'm in the entire time. Because I'm the youngest player, I want to show that I'm not an easy opponent by becoming the champion. Everybody at the WCS Global finals is a great player, but I'm confident that I can beat anyone that I meet. I don't care about their race, I don't care about anything at all. Instead of continually approaching matches with a special banshee strategy (? ), I tend to figure out a strategy on the spot depending on the scenario, so I think I'll only know how I'll approach each match when I'm playing them. 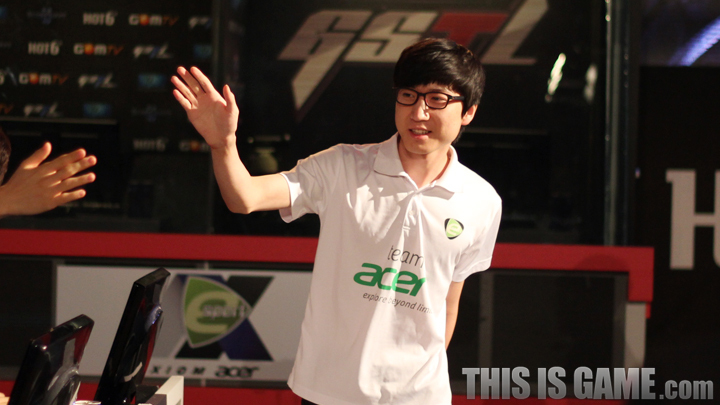 Losing to Dear in the WCS KR Season 3 finals and then again at the WCS Global Season 3 finals was really disappointing. To be honest with you, my mouse broke at the Season 3 finals so I had to borrow another players mouse. Because I wasn't used to the mouse, I had trouble with my control. I'm certain I'll beat him if I meet him again at the WCS Global Finals. 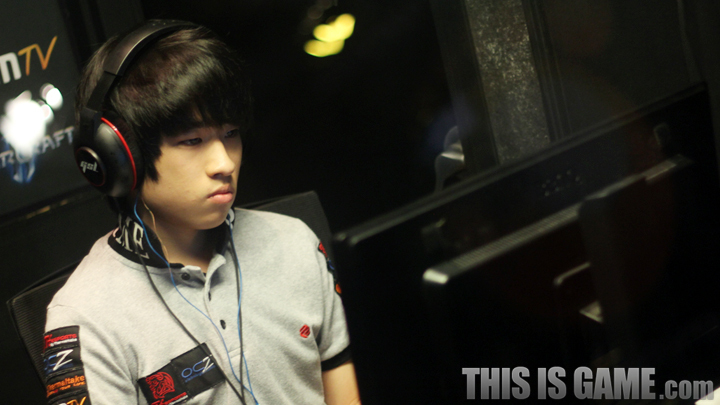 After winning WCS KR Season 2 and becoming the youngest royal roader in history, I keep losing in the semi-finals. I want to make sure that I win the Global Finals, and do even better next year than I did this year. I want to win more, I want to keep building on my skills, and I want to reach a higher place than I'm at now. I'm going to make sure to win the WCS Global finals, so I want my fans to keep cheering hard for me. "I don't have much time left as a pro-gamer, I'm going to finish this year with a glorious victory"
From the first season, my goal was to make it in to the Global Finals. I feel relieved that I achieved my goal. After I fell out of Premier League in Season 3, I had a lot of free time compared to the other players. I didn't feel like I showed good matches after winning the Season 2 finals, so I practiced non-stop in the interim. I think that when you watch my matches at the Global Finals, you'll be able to feel the effort that I've put into my practice. With the increase in level of the WCS Global Finals, and the opportunity it represents, my level of performance will rise with it, and combined with my new playstyle, I think that will be enough to ensure my victory. In addition, the huge prize of 100,000 dollars gives rise to hopes that I'll be able to get a house of my own with that money. I'm practicing a lot, and I'm feeling really confident about my TvT. Protoss's have been strong lately, so I anticipate TvP being difficult, but with the exception of a few top Protoss players, I'm confident I can beat them. I don't have any rivals at the World Finals, but if there's one player I'd like to avoid, it'd be Soulkey. I think that we'll probably meet in the quarter finals. Soulkey is certainly a good player, but mostly I want to avoid him because my TvZ is weak at the moment. Still, if I'm going to be the champion, I'm going to have to beat him. I think that I'll have a strong chance at winning the tournament if I get through the quarter-finals. Because I have a lot more experience in foreign tournaments in comparison to many of the other players, I'm confident in my ability to maintain a good condition throughout the tournament. Weirdly, if I go overseas I feel like my condition improves through no special effort of my own, and that my games go better as a result. I hope that a lot of fans come to Blizzcon and cheer at the games. Now that we're getting to the end of the year, I want to get a good result and return home to Korea triumphant. I'm planning to go to the military in 2015 or 2016, so I don't have much time left as a pro-gamer. Because of that, I think that I'm approaching my tournaments differently to other players. My goal is to finish this year with a win, and then make at least Top 8 at the global finals next year. I think that you'll see me at a lot of foreign tournaments next year. "Being #1 in the WCS points doesn't matter. The goal is to win the Global Finals." From the very first season, the global finals were my ultimate aim. 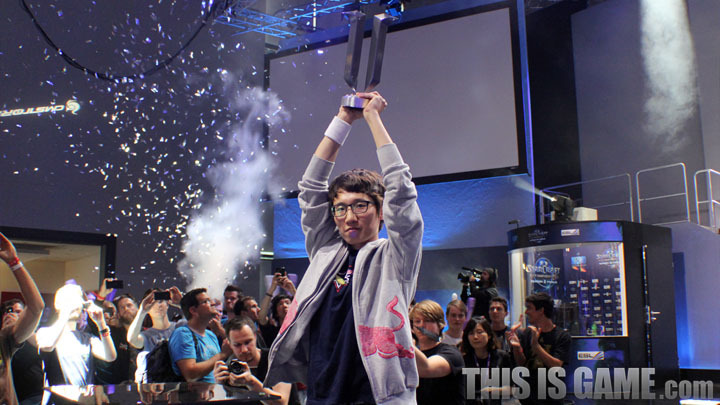 After winning WCS KR Season 1, I worked hard to show an unshakable and consistent level of skill. The result of that is has been that I'm going into the Global Finals as the top seed, something that I'm incredibly satisfied with. However, being #1 in the WCS rankings doesn't really matter. I've been hungry for results since my victory in WCS KR Season 1, so I want to win at the WCS KR Season Finals by showing utterly complete Zerg play. The players at the Season Finals are all formidable, but even out of those players there are 3 players that I'd like to meet at a later-stage - sOs, Innovation and Dear. Of course, since sOs is a teammate, I'd rather meet him later rather than sooner, but it's a personal hope of mine that we meet and do battle at the highest level. Innovation and Dear have both dealt critical losses to me, and I want revenge. Innovation beat me 3:0 at the WCS KR S2 Ro4, and Dear defeated me 4:0 at the WCS Season 3 Finals. However, after looking over those matches I was able to find solutions to the weaknesses that they exploited. I'm feeling confident in my ZvT and ZvP, and if we meet again I will get revenge on the losses that they handed me in the previous seasons. There are only 2 Zergs (including me) at the Season Finals, but I'm going to use this stage to prove that I'm without doubt the greatest Zerg, so I would like the other players to not skimp on the Zerg match-up when they're practicing. It's clear that I'm under-performing overseas, in comparison to the results that I show in Korean tournaments. Whenever I go to a foreign tournament, I have a jinx where I always lose the first match no matter what. I want to break that jinx this tournament. In particular, I showed both good and awful matches at the Season 3 finals, so I'm going to work hard at staying in good condition throughout the tournament and taking care of the mental side of things so I can show good matches and not disappoint. Not just that, but I want to keep improving, and show even better results next year than I have this year and show my fans again that I'm a player that will keep working hard. "Opportunity has come again, and I want the victory too"
In Season 1, I made it to the semi-finals of WCS KR, but I didn't do well in Season 2 or 3 and I feel disappointed by that. Luckily due to 어부지리 (Mintie: a proverb that literally translates to "while the stork and the shellfish fight, the fisherman is able to catch them both", roughly meaning a gain due to others fighting, through no influence of your own. For example, something like this), I was able to make it to the WCS Global Finals and I'm really glad that I'll have the opportunity to show good games to my fans. I decided 3 weeks ago that the goal was to win the tournament, so excluding rest-breaks I'm doing nothing but playing games. To do as well as possible, I'm thinking up a lot of different strategies. I don't think there are any weak players at the Global Finals. I think that the matches will be tough from the Round of 16. I don't haven any players I want to avoid, It's just a matter of concentrating and defeating every opponent. If I have to pick a player I don't want to face, it'd be my teammate Soulkey. We used to be at a similar level of results, but Soulkey puts up good results season after season, while I feel like I haven't been able to show my skills. I felt a lot of jealousy watching other players, including Soulkey, go to the semi-finals and finals of tournaments. I'm practicing hard so I can be in their position at the Global Finals. I feel most confident in my PvZ, but sadly there's only 2 Zergs so I'm spending most of my time concentrating on my other matchups. As a result, I feel much more confident in my PvT than I did before. I've put a lot of effort into the WCS Global Finals, so I have faith that I'll be able to get good results. I'm really thankful that I'll be able to play in front of all the fans at Blizzcon, and with that in mind I'll be working that much harder to show games that won't leave you wanting more from me. In particular, there's a possibility that I'll bring out some strategies that will really shock the fans. I've been working hard on showing new strategies that I've worked hard to optimise as much as possible. "My determination and confidence sets me apart from the others. 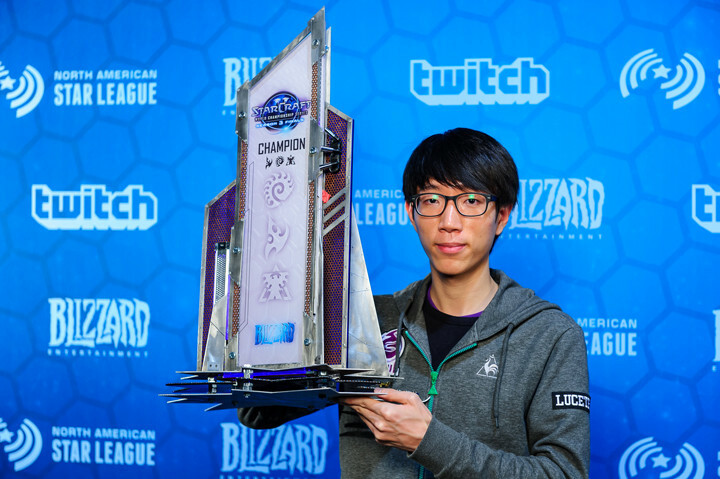 I will be the first player in WCS history to win 3 events in a row." Before WCS KR Season 3, nobody around me, myself included, thought that I'd be going to the Global Finals. After winning WCS KR Season 3, and then the Season 3 finals as well as earning the title of Royal Roader, I want to continue this momentum all the way to Blizzcon. Because I keep winning, the expectations of my fans and of those around me keep growing and growing. Even if just to not let any body down, I want to show exciting, vibrant matches, not listless ones. My aim is to at least make the semi-finals. I don't think I'm working really hard at the game right now, but because I've worked so hard since so long ago, I've always been confident in my skills. I think that luck hasn't been on my side for a long time, but this season I've had a lot of luck and match by match I've been growing in confidence, and I think that's made a big difference to my play. I don't have any rivals at the finals, but I want to avoid HerO, who I'm personally a big fan of. I came up against HerO twice at the Season 3 finals, and I felt a bit bad for winning both times. Looking at the draw, I'm up against Taeja who I've wanted to play against for a long time. I'm happy that I drew him, and I'm confident that I'll beat him. I've always been confident in my PvT. I know that people will think of my games against Maru in WCS KR S3 semi-finals, but I've beaten him a lot on ladder, so I was confident that I could beat him before that semi-final, and I think that confidence really showed in the matches. Because the Season 3 finals were again overseas, the problems I had with jet-lag and maintaining my condition made my victory a hard-fought one. I'm still practicing as hard as ever, so if we meet again in the WCS Global Finals, I'm sure I can convincingly defeat him. For both Season 3, and the Season 3 finals, I beat Zergs to claim victory. Because of that, I'm most confident in my PvZ. I don't like PvP because of the role of chance and build-order battles that decide so many of the games. I think that HotS is really well balanced, so it's a shame that there are only 2 zergs at the tournament. However, the 2 zergs, Soulkey and Jaedong, are toward the top of the WCS point rankings, so I think that I'll meet at least one of them at a later stage of the tournament. In comparison to the other players, I've moved teams a lot. I've had a lot of difficulties outside the game, but I think that's just given me more determination, something that's helped me get to where I am. I want to finish this year off strong, and consistently stay in Premier League next year so i can become a player that is at every major international tournament. At the Season 3 finals, once I got up on stage and heard the chants and cheering from the fans it got me excited and energised to play the game, even when I was tired, and I drew a lot of strength from that. Thanks to the fans, they give me passion to play the game. I'm always thankful, and I always want to show good games. "I will return to the Global Finals as the force that I was at the Season 1 Finals"
After winning the Season 1 Finals, my place at the Global Finals was assured surprisingly quickly. Because of that, I'm not surprised or especially happy about going to the Global Finals but because it's the greatest tournament that you can enter as a pro-gamer, I'm just filled with desire to win the tournament. I'm practicing hard at the moment, so I'm going to win this tournament no matter what. After winning the Season 1 finals, people have voiced a lot of concern about the decline in my results, but I think most of that was due to not being able to practice and falling behind in my understanding of the meta-game. Since now that I've improved my skills significantly such that none of that should be a concern, I think it would be OK if people stopped worrying. After changing teams, life inside the team-house has been great and the practice environment has been more self-driven which I think has been really good. I think that relying on just my own will and effort will be more than enough to have a big impact, so I'm practicing consistently, all day. After the hellbat was nerfed, a unit that I was especially strong with, I was worried about my TvT. Moreover, with eight terrans at the Global Finals, I decided that I had to fix my TvT rather than think about avoiding the matchup. I looked for strategies to win, conditional on the situation, but I think the only road is one of more practice. As a result, I'm extremely confident about my TvT even without hellbats. At the moment, I'm in good match condition and I've found my confidence again so I don't have any players that I want to avoid, since I'm confident I can beat any player that I come up against. I personally hope that I meet my team-mate, MMA, in the finals. At the moment, I'm most confident in my TvT and TvP. Although TvZ is difficult, there isn't a Zerg that I fear or that I don't think I could beat. From the H to the YPE! Gogo Soulkey! E:"I don't have much time left as a pro-gamer, I'm going to finish this year with a glorious victory"
No, I was reading in another language lol. I think this is the first english version. Thanks! HYPX MAX. Sad Soulkey and Bomber will meet so early . INnoVation thinks TvZ is hard and his TvP and TvT is better? Good God prepare yourselves the newest update just arrived. 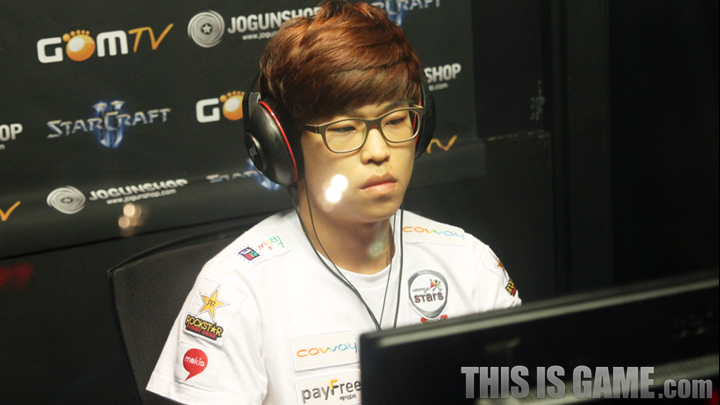 INnoVation: "At the moment, I'm most confident in my TvT and TvP. 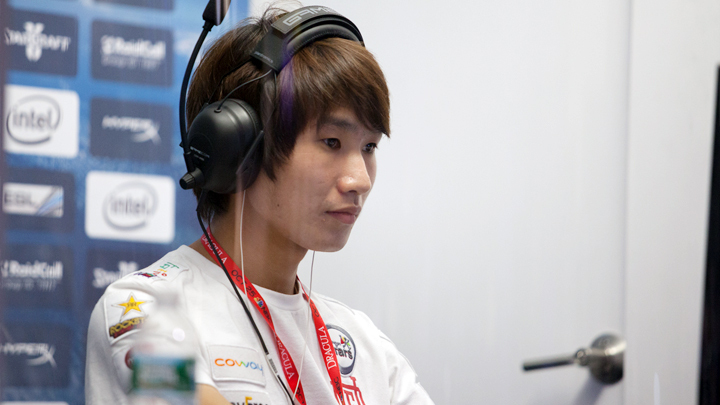 Although TvZ is difficult, there isn't a Zerg that I fear or that I don't think I could beat." These words come from the best TvZ Terran. Don't let those anti-cheese advocates tell you what to do. Rush to meet life head on! Innovation thinks TvZ is hard?? LOL.. Also I'm super excited to see a rivalry develop between Maru and Dear, their matches have been great so far. HYPE!!! These are so elaborate it's almost hard to believe they said this O.o Very good read though, bumped!